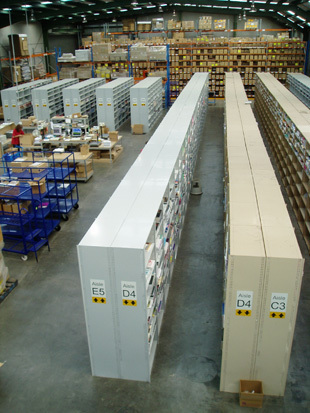 Hal Leonard Australia's warehouse facilities stock over 35,000 products. We are a subsidiary of Hal Leonard Corporation who, founded in 1947, is the world leader in the print music industry. Selling products in more than 65 countries around the world, Hal Leonard Corporation represents in print some of the world’s best known and respected artists including The Beatles, Miles Davis, Diana Krall, Justin Timberlake and Stevie Wonder as well as the music of Irving Berlin, and Rodgers & Hammerstein. In Australia, Hal Leonard Corporation commenced distribution in 1975 through Rose Music Pty Ltd. In 1995, the distribution was moved to Print Music Australia, who in 1999 formed a new venture with Hal Leonard Corporation establishing what is now known as Hal Leonard Australia Pty Ltd. Since our beginning in 1995, we have experienced significant growth. An important milestone for us occurred in January 2002, when we established our Licensing and Hire Department, which handles the promotion and performance licensing of a wide catalogue of musicals, plays, and classical works. More recently, our acquisition of AMPD (All Music Publishing & Distribution) in late 2010, combined with becoming the exclusive distributor for AMEB (Australian Music Examinations Board) publications, has further reinforced Hal Leonard Australia as a driving force in the print music and theatrical licensing markets in Australasia. Established in 2002, our Licensing and Hire Department has enjoyed considerable growth, which is testament to the calibre of our staff who each have extensive knowledge and backgrounds in music, theatre, and the arts. We proudly represent catalogues such as Music Theatre International of New York, Josef Weinberger of London and Dramatists Play Service Inc of New York for the administration of musicals and plays under their control in this territory. In addition, we administer an extensive hire library of classical and contemporary music works from around the world, representing catalogues such as Boosey & Hawkes Ltd, Faber Music Ltd, Oxford University Press, Schott Music, Universal Editions, and Universal Music Publishing Classical. We are pleased to also represent an ever-growing collection of local musical theatre works and major Australian composers. We have a vast and diverse client base, which includes schools, orchestras, community theatre groups, musical societies and professional producers. Our extensive experience in assisting clients means that we are able to guide you easily through the licensing and hire process, no matter what your level of expertise. Through our knowledge, efforts, and commitment to providing excellent products and services, we have established ourselves as one of the leading theatrical and classical licensing and hire companies in Australasia. Since our beginnings in the mid-1990s distributing sheet music, songbooks, method books, instructional videos and other product produced by Hal Leonard Corporation, we have undergone continual growth and now also represent some of the world’s best known and respected publishers including Cherry Lane Music Company, Walt Disney Music, EMI Music Publishing, and Boosey & Hawkes. From our modern warehouse facilities in Cheltenham, Victoria, we stock over 35,000 products including printed music, Manhasset Music Stands, Yamaha Accessories, and music related giftware which is distributed across Australia and New Zealand. We also source thousands of back catalogue titles on a special order basis from Hal Leonard Corporation and numerous suppliers across the USA and Europe. The growth of our business has been, and continues to be, based on a strong customer focus; we aim to be the best in the industry in terms of in-stock ration, order turnaround, and immediate attention to returns and account enquiries. Visit our Print Music and Distribution website.